Renting a car in the Philippines is difficult but you can rent a motorbike nearly anywhere. I discovered the Philippines by ferry and motorbike. Arriving anywhere simply ask somebody about a motorbike for rent. You will get offers from all bystanders. Beware! If you are a real biker used to cruise with a 800, 1200 or 1800 ccm, then you will have to forget your dreams. All you get here are 125, 150 and 180 ccm. Frustrating! There are some very sparse rentals that can provide you with real motorbikes. You find some of them below. If you are not used to drive a motorbike, but your driver license allows you to drive a 125 ccm, then we recommend not to rent a motorbike. It is too dangerous. 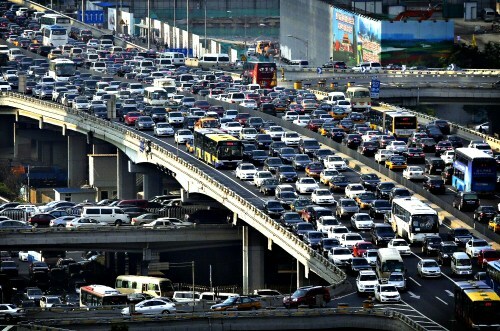 Not only the strange traffic rules can be dangerous, but there are lots of people and animals on the roads. 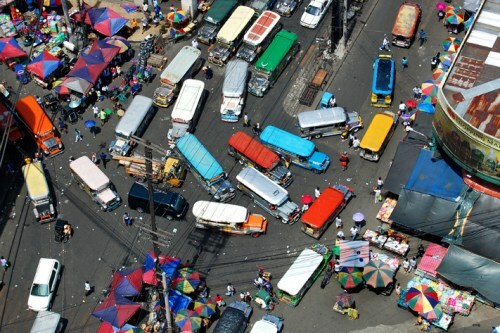 Read our "Driving in the Philippines – a Beginner’s Guide". 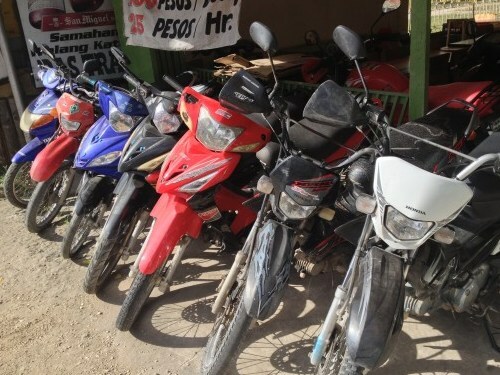 Typical motorbikes you can rent anywhere are Honda and Yamaha assembled in the Philippines. They have 125 ccm motors and have a lot of plastic around the body. They are good for 2 to 3 persons. Rates depend on the place, the rental duration and your bargain skills. Daily rental starts at PHP 250 and can go up to PHP 600. If you rent the motorbike for a week, then you usually get it for a daily rate of PHP 300 to 350. If you rent in a resort, then you have to add PHP 50 to 150. Often these motorbikes belong to the staff of the resort. CAUTION: Ask for a helmet. First it protects you and second you have to wear a helmet by law. You also need a copy of the bike's registration (LTO) papers with you. WARNING: You have NO insurance cover. In an accident you have to pay your medical treatment and the repair/replacement of the motorbike. HINT: In remote places fuel is available in sari-sari stores. The fuel is bottled in used Coke and Pepsi bottles. Seeing a real motorbike, a Harley-Davidson or a Moto Guzzi or a BMW is a rare pleasure in the Philippines. Renting such a motorbike is nearly impossible. But there are at least 3 good addresses. If you know another motorbike rental that rents bikes bigger than 200 ccm, please inform us using the form at the end of the page. Motorbike Philippines rents motorbikes and offers guided trips - both on and off road. The off-road trips need some experience because you ride a Honda CRF250L Enduro. 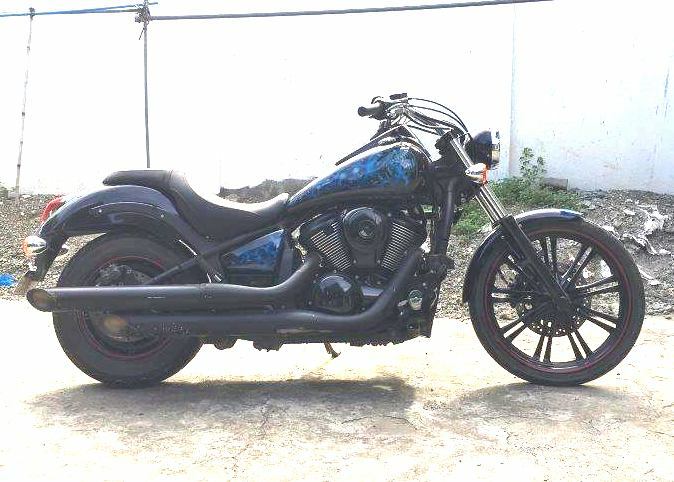 They also have a heavy machine, a Kawasaki Vulcan 900 Custom for rent! Before you think about renting a motorcycle, make sure the registration is up to date and the vehicle is in good shape. Many rental agencies and private persons do not keep the registration current, dont give you a helmet, have made illegal modifications and some will even rent you a stolen motorcycle! Book2Wheel is an online booking website for renting motorbikes. The principle is the same as AirBnB or Uber. You rent the bike from a private person The website is only an agent between customer and owner. 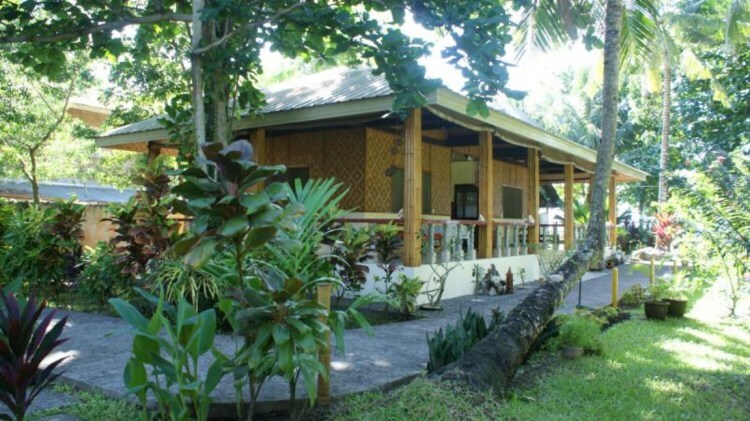 If your planing a trip to Bohol, Cebu, Dumaguete or Leyte and need a motorcycle to rent, Mikes Island Motorcycle Rentals is the best place to rent from. Mikes' cares about your safety and only rents new or near new motorcycles. Each motorcycle goes through a rigorous 40 point mechanical and performance check list before its rented. This video had been recorded by a fixed police camera near Tarlac City on Christmas last year (2016).